Can you take a look at the picture? The rectangular piece is the main circuit. Some water (very little) came in. Although I dried everything well and pulled out the battery, the red and noise alarm keep going on everytime I turn on the circuit. I'm pretty sure no water touched the circuit, so I guess the only thing that can be wrong is the moisture detector. Does any one know how can I get a new one and replace it? The cylinder is the audio buzzer that sounds in the event of moisture bridging the 2 pin sensor. So, where is the pressure sensor? Anyway I'm afraid what I have to replace is the moisture sensor. But I'm not sure if I can find a spare one anywhere. 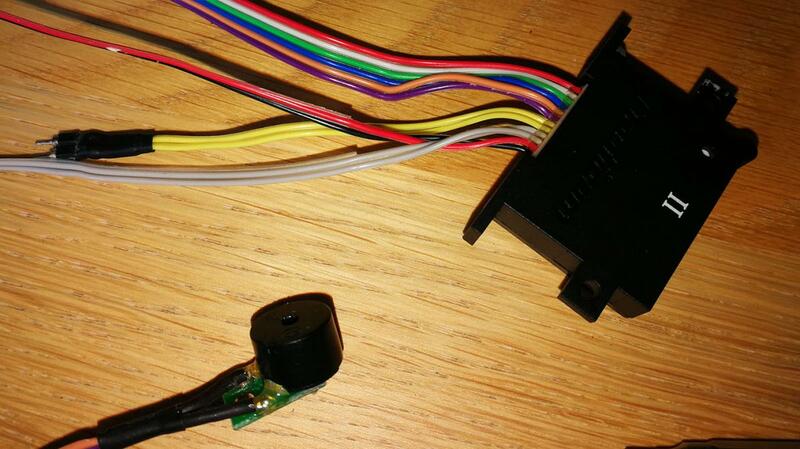 Cut the heat shrink off the wire leading to the two pin sensor and see if you have corrosion in there bridging the gap. Right, but what if it is bridged?. Just clean and join the wires again? I couldn't fin that topic, otherwise I woudn't have started this new one! Actually, I solve the proble just raplacing the battery!! !